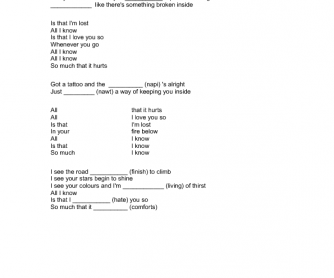 This is a worksheet for the song "Ink" by Coldplay. 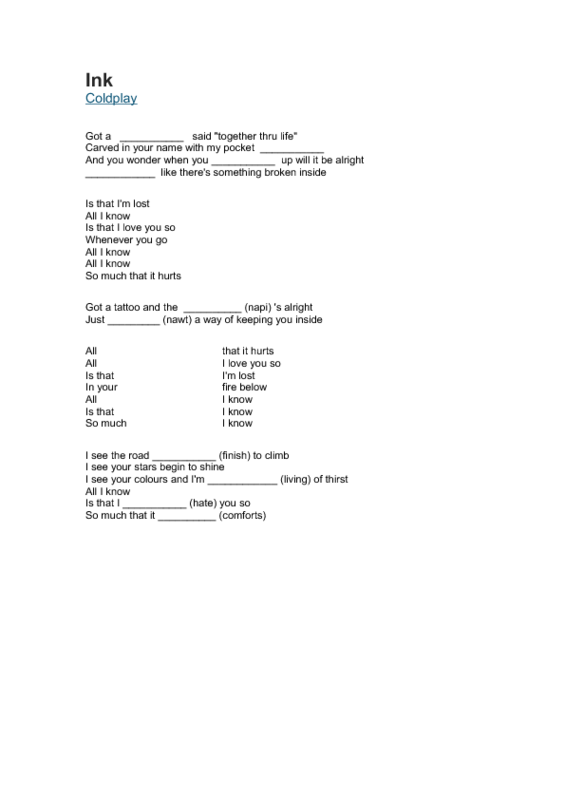 It contains activities such as fill in the gaps, put the sentences in the right order, match the halves, write the opposite. It's recommended from pre-intermediate to advanced. The students will love it!